Get your answers here to common questions about COURTS, including how to search about products, promotions, payment, delivery, etc. If your question is not being answered here, please contact us. Q. How do I know if the product I’m looking for online is available? If a product is available online, you will be able to add the item to cart. You will be receiving an order confirmation email once you have placed the order. However, product purchased online may not be in stock even after the order confirmation. If we are not able to fulfil your order, COURTS(s) customer representative will contact you to offer an alternative product or full refund. Q. Are all products available in stores also available in online? The products available online will differ from time to time. This is determine by the stock availability and promotions. You may search for the product on our site to check if the product is available online. Q. How many products can I order at one time? There is no restriction on the number of products you can order. For products on offer, we may, at our discretion, limit or cancel quantities purchased per person, per household or per order. These restrictions may be enforced on orders placed from the same COURTS Online account or credit card, and sometimes even orders that use the same billing and/or delivery address. Should a restriction apply, a notification will be sent to the e-mail you provided within the next business day. If the product is currently unavailable, we will provide the next earliest availability and delivery date or an alternative product model. Should the options offered be deemed not suitable, we reserve the rights to cancel the order and refund the full amount of the purchase. Q. How to redeem a promotional code? For HomeClub members, please log in with your email address and password. For non-HomeClub members, please sign up here. Make a purchase from COURTS Online. Click "CHECKOUT" to proceed to Checkout page. Enter the promotional code into the field provided at the bottom of the Checkout page. After entering the code, please click on the "APPLY" button. Q. What type of purchase is eligible for promotional code? Promotional code is only applicable for online purchase made from COURTS Online but is not applicable for excluded items. Excluded items include, but are not limited to, Sony Products, Apple Products, Online Deal Products, Promotional Offers, Pre-Orders, TVs, Computers, Gaming Consoles and Mobile Phones, unless stated otherwise. Promotional code is not applicable to all services, but is not limited to, Extended Warranties, GURU Services, 1-for-1 Exchange, Delivery and Installation charges, unless stated otherwise. Promotional code is not applicable for Guest checkout. Promotional code is not applicable for Flexi Plans, processing fees and service charges. Promotional code is subject to all restrictions set forth in any ongoing promotion. Shipping and handling fees are excluded for all minimum purchase requirements. Promotional code cannot be applied to completed purchases. Promotional code is not transferable or redeemable for cash or credit. Please refer to Promotions Terms & Conditions for more information. One promotional code can only be applied at any one time for all purchases made through COURTS Online. Q. What if the unredeemed promotional code has expired? Strictly no replacement code will be issued, unless stated otherwise. COURTS (Singapore) Pte Ltd reserves the right to cancel any promotions or promotional codes without prior notice. Q. When the promotional code does not work? Please ensure that you are logged in as a HomeClub member. If not, please sign up here. Please check that the promotional code has been entered correctly. Please check on the expiry date of the promotional code under Promotions Terms & Conditions. Please ensure your purchase meets the minimum requirement for the promotion. For complete promotion details, please click here. Q. What are the modes of payment if I purchase from COURTS Stores? Q. How do I pay for my items online? Q. 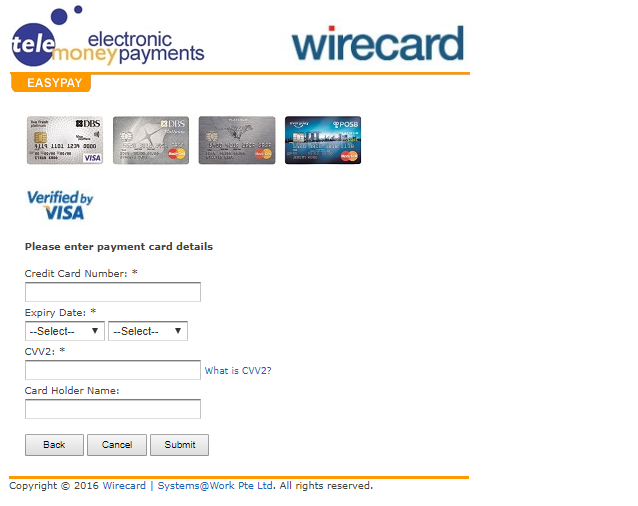 What happens if I experience difficulty at the payment page? You may currently be experiencing technical difficulties; you may wish to try again later. Users might experience slow page loads during website upgrades, which we will be conducting from time to time. We do appreciation your patience with us. IPP is an interest-free installment payment plan from 6 months to 36 months that we offer to our customers as one of our payment options. Select IPP bank payment method. Q. 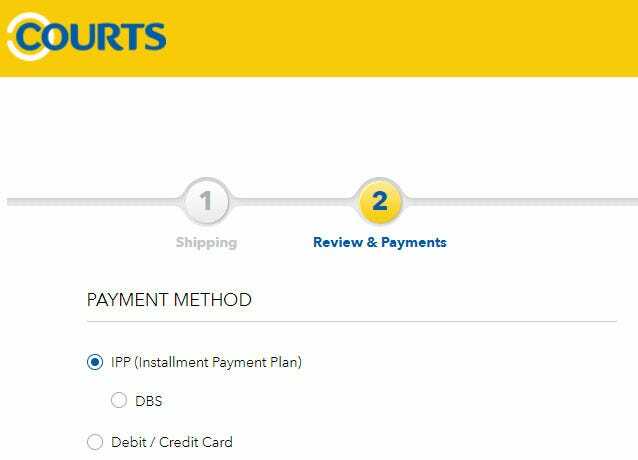 Which card can be used under the 0% installment payment plan? Q. What are the tenure options available? Q. Is any deposit required? Q. Is there any other additional fee? Q. What if I decide to change to a one-time payment after I submit my order for the IPP? You are not able to choose another payment method once the order has been submitted. Q. How long does it take the transaction to be approved? The transaction will be processed immediately once the purchase amount is deducted from your credit card. Q. Can I use debit card for this IPP? 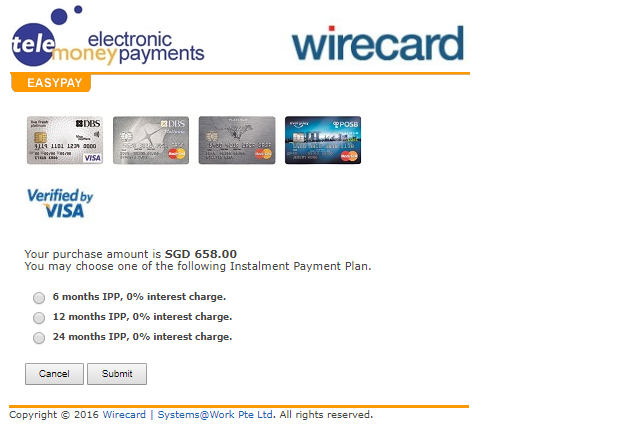 No, this IPP is only applicable for credit cards. IPP is unavailable for debit cards. Q. What are the privileges of a HomeClub Member? Not a HomeClub Member yet? Click here to register now or find out more details about HomeClub privileges. Q. I have applied for the HomeClub membership. How do I identify myself? HomeClub is a cardless membership programme. Simply inform the cashier that you are a member and provide your mobile number before making payment. Q. Where can I view and update my contact information? Click here and log in with your email address and password. You may view/update information such as E-mail address, Contact numbers, Home addresses and Communication preferences. Q. What promotions and updates can I receive from COURTS? If you have agreed to receive mailings, you will occasionally receive emails, phone calls, SMSes and direct mails from COURTS. You will be informed of all the great benefits and savings such as promotional codes, promotion information, invitations to our members' preview sales, and much more. Q. How can I receive mailings from COURTS? Scroll to the bottom of the subsequent page. Select your topics of interests under “Hobbies/Interests”. Check the box that says “I want to receive Courts‘ special offers and promotions”. Note: It may take up to 30 working days to remove you from our e-mail marketing lists, up to 30 days for phone calls/SMS list, and up to six weeks for direct mail. Q. How do I choose not to receive mailings from COURTS? Uncheck the box that says “I want to receive Courts’ special offers and promotions”. Q. What happens if I have forgotten my online login password for My HomeClub Account? Simply click on the “Forgot your Password?” option next to the “Log In” button and we will email you a new one. You will need to provide the Postal ID, Mobile No, and Email address that you used during registration for identity verification. We recommend that you periodically update your password for security purposes, and retain it for future reference. Q. How do I change my online login password for My HomeClub Account? Click on the option to “Change Password”. Q. What happens if I have difficulty logging in to My HomeClub Account? If you experience difficulty logging in, your account may have been locked for security purposes, making it temporarily inaccessible. If you have forgot your password; You may reset the password here. Q. Where do I view my order history? Select “Order History” on the left navigation menu to view your orders. For orders that have not been delivered or full payment have not been made, they will be reflected as “In Progress”. Orders that have been delivered with full payment received will be reflected as “Completed”. You can register previous store purchases that were not captured online. You just need to have the receipt/sales transaction number and the grand total on the receipt. Q. How do I check the payment and details of specific orders? Click on any of the account number to view the order details. Click on “View Statement” to view the payment details and outstanding balance. Q. What should I do if I did not receive the vouchers? FlexiPlans are an alternative flexible financing option available at COURTS that breaks up payments for home essentials into affordable, monthly payments. There are various FlexiPlans to choose from, allowing us to cater to different needs. To find out more about which product suits you best, visit our FlexiPlans product page. Apart from COURTS FlexiPlans, COURTS also offers 0% instalment plan tie-ups with all major bank credit cards. Ability to change your mind to purchase with cash, subject to a processing fee of S$50 within 30 days. To return purchases, they need to be in original, unopened condition in accordance with COURTS’ 30-day Hassle-Free Returns policy. The above are subject to terms and conditions. Q. Do I qualify for COURTS FlexiPlans? Q. What are FlexiPlans’ instalment rates? COURTS FlexiPlans offers instalment rates that range from 0% to 26.99% for Singaporeans and Permanent Residents, and up to 33.99% for foreigners or short-term and temporary residents. The instalment rates depend on several factors including how much the customer can afford monthly, as well as the total tenure required. You may visit our FlexiPlans product page to find out more. Q. Why are your instalment rates priced as such? We offer a range of products at different instalment rates. Generally, the longer the payment terms offered, the higher the instalment rate. We will assess customers’ ability to service the FlexiPlans they sign up for. However, should personal circumstances change and you encounter trouble making the monthly payments, you can contact our Customer Account Management team at +65 6500 4168 or cam@courts.com.sg to request for a repayment plan. Q. How will I know if I am able to afford FlexiPlans? All customers who are keen to purchase FlexiPlans will be subject to an assessment on suitability. During the application process, our sales consultants will also walk you through the options available, monthly term charges, tenure and total agreement value, among other pertinent information, to ensure you have all you need to make an informed decision. If at any time you have additional questions, you can reach +65 6500 4168 or cam@courts.com.sg anytime to request for our Customer Account Management team to assist you. Q. Are there late charges if I miss my payments? How does COURTS collect on late payments? Late payment fees are charged at either 1.50% per month or the prevailing instalment rate depending on the plan. It will only be charged when an account is more than three months in arrears and is only charged on the overdue instalments. Other charges on late payments also apply, and they include a monthly administrative charge, collection fees, and returned GIRO/cheque fees – as fully stated in delivery reminder letters. As a standard operating procedure, our Customer Account Management team will follow up with you if you did not make payment on time. However, if you are facing financial difficulties, you can contact us at +65 6500 4168 or cam@courts.com.sg to request for a repayment plan. Q. Can I change my mind after my FlexiPlans purchase? Yes. As with any purchase with COURTS, should you change your mind, you may choose to have your FlexiPlans cancelled within 30 days. To return purchases, they need to be in original, unopened condition in accordance with COURTS’ 30-day Hassle-Free Returns policy. You may approach your nearest COURTS store, call +65 6500 4168 or email cam@courts.com.sg to request for our Customer Account Management team to assist you with this. Do note that an administrative fee of S$50 may be applicable. Q. I am an existing FlexiPlans customer and would like to check on my account information / shorten my payment terms. Please get in touch with us by approaching your nearest COURTS store or +65 6500 4168 or email cam@courts.com.sg to request for our Customer Account Management team to assist you. Q. What does EIR mean? EIR stands for Effective Interest Rate. Simply put, it is the interest rate that is actually paid on a loan due to the result of compounding over a given time period. Q. How is EIR calculated? You can refer to the below example, which assumes a merchandise purchase at COURTS for S$2,000 with FlexiPlans. The monthly instalment payment starts a month after purchase until the end of the instalment plan. Should you want more information on the EIR for your FlexiPlans, you can email cam@courts.com.sg to request for assistance from our Customer Account Management team. Q. How do I view or change my delivery appointment? Q. What if I decide to change my delivery date from a weekday to a weekend? In the event of a request for change in delivery date from a weekday to a weekend, there will be an additional $10/- to be paid. Q. What are the delivery timings available? Delivery timings are: 11am-2pm, 2pm-5pm, 5pm-9pm (for all items excluding air conditioning items).Delivery on Weekend & PH may not be applicable for certain suppliers. Q. May I shorten the delivery time window? No, we are unable to accommodate shortening the assigned delivery time window. Q. Can I request for specific delivery timing? No, we have morning and afternoon delivery, and the availability of slots will be advised by the COURTS sales team. We try our best to adhere to the assigned slot; however, sometimes this may be affected slightly by traffic conditions, installation times of other customers beforehand and other general movements. Q. What should I do to prepare for my delivery? For any Furniture/Bedding or Electrical items, please take the dimension and measurement of the product you will be ordering to ensure this item can fit into the room intended/ lifts/elevator/ stairwells/passages and/or corridors. Our delivery team will not dismantle doors and/or windows to avoid any damage to your property. In the event of bulky items that are unable to fit into the lift, our delivery team will use the staircase and carry the product in a non-hazardous manner. They will assess the site thoroughly, with additional charges being applicable from the 2nd storey onwards (e.g. ground floor is free + $10 per item per subsequent non lift-accessible storey). Example: Staircase delivery of a bulky furniture item to a non-lift accessible 12th floor: (1 X $0) + (11 X $10) = $110). Please be advised reschedule of your delivery date may be required if 3 or more extra manpower needed. However, if the delivery process is deemed hazardous, (e.g risk damaging the product or public property, obstruction of passageway, etc), COURTS reserves the right to offer a reselection of products in consultation with you and our sales staff. Q. What do I need to take note upon delivery? Check the condition of the product. If you find the goods to be faulty or defective, reject the order. To facilitate handling and processing of such incidents, please help us indicate the reason for refusal of delivery on the Delivery Note. A COURTS representative will contact you within 2 business days for further action. Do check for the product warranty card; some product warranties may need to be registered via the brand’s online website.. Some of the goods advertised on our website come with a manufacturer's warranty. You may contact the manufacturer directly for details relating to the available manufacturer's warranty (if any). Q. Are there any areas that COURTS does not deliver to? If you order two or more items, you can choose different delivery methods during the check-out process. Q. What Is Click & Collect? Click & Collect with COURTS enables you to shop online and collect your order from any COURTS store for free. If you order on any day from Monday to Sunday, you may collect your purchases from your chosen store after you have received an email/SMS that your item is ready for collection. You may visit the designated store from 11:15am to 9:00pm to collect your items. Q. How much do I have to pay for Click & Collect? This is absolutely free of charge. Q. What happens if I forget about my order? Purchases must be collected within 14 days from the date on which the customer has been notified that the purchase is ready for collection. For Sales Orders where full or partial payment has been received, COURTS reserves the rights to cancel the Sales Order should the purchase remain uncollected after 14 days upon receiving an email/SMS notification that the item is ready for collection. In the event of cancellation, any payment received will be refunded. Q. Why didn’t the Click & Collect option list down all the stores? The product that you wish to buy may not have ready stock in your selected store. To give you the best shopping experience, our system will only list the stores that have ready stock for collection. Q. What must I bring along for collection at store? Q. What is Standard Delivery? Q. How do I change my delivery appointment? If you would like to change your delivery appointment with a minimum of 3 working days’ notice, you could do so by logging in HERE. If it is less than 3 working days’ notice, please call our hotline 1800 222 6868 for support. Q. How much do I have to pay for Click & Deliver? A delivery charge of S$30 applies for purchases below $200. Q. What other costs may I have to bear? There may be prevailing assembly charges for certain products that require the labour of our delivery crew for assembly. For any changes to your delivery address, kindly visit any of our stores 3 days before the scheduled delivery date. For online delivery, kindly contact our customer care hotline at 1800-222-6868 latest 3 days before the scheduled delivery date. Q. What are the charges if I would like to arrange for delivery for my purchase? Fully refundable deposit of $150 is required. Minimum 3 working days of advanced notice is required for any postponement/cancellation of air-conditioner installation. Failing which, an administrative fee of $150 will be imposed. ✓ Free piping (up to 45 feet) will be provided per fan coil. ✓ 15AMP powerpoint to be provided by owner. ✓ Stainless steel bracked (if required), chargeable at $130. ✓ 3-year installation warranty for piping work. Order(s) placed between 12am to 3pm will be delivered within the same day between 5pm to 10pm. No same day delivery option is available for order(s) placed after 3pm. Same day delivery is chargeable at $50. Direct delivery from our suppliers/partners. Installation services and air-conditioning requiring installation. Q. How can I check my delivery status on the day of delivery? Please note that only today's delivery information will be available from 9am to 9pm. This refers to deliveries made by our COURTS team. For delivery performed by our suppliers, you will only be able to view the delivery timing period but not able to view the exact vehicle location. Q. What happens if I’m not at home to receive my order? The timing of the delivery will be pre-arranged with you. Our friendly delivery team will call you for a gentle reminder before delivering the items. Should you not able to answer their call, they will still proceed to deliver your item. In the event that there is no one is at home to receive the delivery, our team will leave a “not in” card stating that they attempted to deliver the item. You may call 1800 222 6868 or the mobile number stated on the “not in” card to arrange for another delivery schedule. Q. The scheduled time slot has passed but my order has yet to be delivered. What should I do? For delivery performed by our suppliers, you will only be able to view delivery timing period but not able to view the exact vehicle location. In the event that the delivery information is not available, you may call 1800 222 6868. Currently, we only deliver within Singapore addresses. Q. What are the installation charges? If you buy an available stock item before 1pm, we will deliver between 3pm to 6pm. If you buy after 1pm – before 5pm, you will get the item between 7pm to 10pm. Q. Wall-mounting for TVs is handled by specialist installers. Wall-mounting for TVs is handled by specialist installers. Please click here for more information. Q. Health & Fitness equipment are handled by our specialist installers. Health & Fitness products are handled by specialist installers. Please contact us for more information. Q. Installation for ceiling fan and portable aircon. Installation is chargeable at $40 per fan. *Actual quotation will be advised on-site and installation charges will be paid directly to installer. Q. How do I pay for the installation charges? The installation charge will be paid to the vendor directly. Q. What do I do if I want to exchange or get a full refund for an item I bought at your stores? If you're unhappy with the product you’ve purchased, regardless of if you’ve bought it online or at our physical stores, just bring it back to any of our store within 30 days for an exchange or refund. Kindly bring back the sealed item along with the original receipt, warranty card, free gifts, vouchers, accessories associated with the purchase in its original condition (sealed box). In the event of any sale order cancellation, the price difference that was refunded has to be returned to COURTS. Unsealed Apple products are not allowed to be exchanged. Q. What if I have opened the box or unsealed the item? We will still exchange or make a full refund within 14 days of the purchase with the original receipt, warranty card, free gifts, vouchers, accessories associated with the purchase in its good condition. This is not applicable to all Apple branded products. When returning software, ink cartridges, batteries, computers, mobile devices, game consoles and probiotic purifier must be in sealed and original condition to be eligible for a refund or exchange. Q. How will my money be refunded to me? The refund will be given in the same mode of payment that was used in the original purchase. If delivery has taken place, then the refund will exclude delivery charges paid. For payment made with credit card, bank may take 10 working days to process the refund. Q. What if the product is found damaged upon opening the brand new box? We will replace the product for you if we find such cases we define as "Dead on Arrival or in short DOA" within 14 days of the purchase date. After 14 days, we will repair the item for you. Q. What are the exclusions? Display set items sold as seen. SMART Toys (Smart Gadgets and Drones), Computers, Mobile Devices, Google Home, Action Cameras and Escooters, Security Safes. There will be a cancellation charge of 30% of the Made-To-Order product price (sofa/mattress/bedframe - where a customer has requested specific attributes e.g. finish, colour, size or where we build upon your order) once order is processed. Home appliances (once used), mattresses, bedding essentials, personal care products, beauty & body products, apparels & accessories, earrings, health & fitness products, headsets and earphones due to hygiene reasons. For headsets and earphones, you will need to send the product back to the manufacturer authorized office for exchange. For items bought under our COURTS Flexi Plans, kindly refer to COURTS Flexi Plans policy for details. Q. How does the lemon law protect me in the event of defective goods? If a higher value exchange is required under COURTS Flexi Plans purchase, then a new instalment plan agreement must be sanctioned. Q. Can I return bundle/promotional items? Do note that the refund value for each item returned will thus be reduced to reflect any free gifts or discounted value. If the repair or replacement is not reasonably possible or cannot be done within a reasonable period of time and without significant inconvenience to you, you may keep the defective Goods and ask for a partial refund, or return the defective Goods and ask for a full refund. Please note that the amount of the full refund will take into account the Goods’ current state resulting from your use. If a higher value exchange is required under COURTS Flexi Plans purchase, then a new instalment plan agreement must be sanctioned. If the repair or replacement is not reasonably possible or cannot be done within a reasonable period of time and without significant inconvenience to you, you may keep the defective Good and ask for a partial refund, or return the defective Good and ask for a full refund. Please note that the amount of the full refund will take into account the Good's current state resulting from your use. For Headsets and Earphones, you will need to send the products back to the manufacturer's authorised office. Beauty & Body Products, Apparels and Accessories, Health & Fitness products and Earrings are not subject to the Exchange / Return policy due to hygiene reasons. You may contact us for additional information. Certain categories of products cannot be exchanged. These include all Apple branded products, Smart Gadgets, Drones, Action Cameras, Google Home, Computers, Mobile Devices, Gaming Consoles and Security Safes. In the event of a refund, the Price paid with respect to the relevant Goods shall automatically be refunded to the credit card with which the purchase was made. If delivery has taken place, refunds will exclude the delivery charges paid. Please note that the normal processing time for refund requests is 10 working days from date of request. 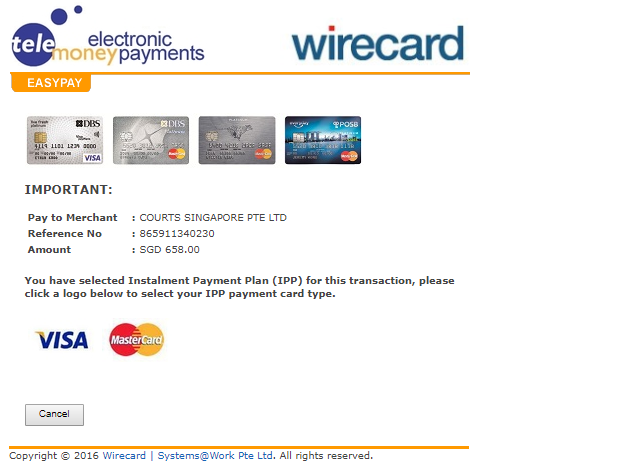 IPP payment refund may take up to 2 to 3 weeks. Q. How to deactivate or close your online account? You may contact us online.